I had the pleasure of helping Jeremy and Sarah plan their June wedding earlier this year. 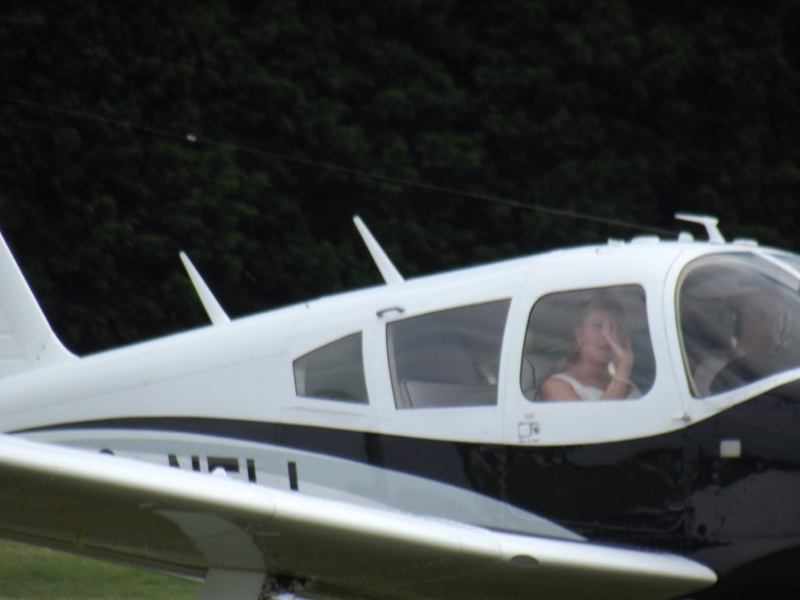 Jeremy is a pilot and so the couple had selected to have their reception in a marquee at Andrewsfield in Stebbing, Essex. Fortunately they were able to use the marquee from a wedding the weekend before so that bit was fairly straight forward. There are so many things to consider when planning a marquee wedding in Hertfordshire, Kent or Surrey because you need to hire everything in and there are lots of logistically things to think about. Size of marquee, how many tables and chairs, power, dance floor, lighting, toilets and the list goes on. It really is worth consulting a wedding planner in London if you are going to have a marquee wedding. There’s lots to tell you about the big day, and I will, but one of the absolute highlights was the arrival of the bride and groom to the reception by plane. It was absolutely brilliant. Thought you might like to see some of my pictures of the big day.